Minty casual | Outfits - Do You Speak Gossip?Do You Speak Gossip? We took these photos some days ago with T., when we went to do some shopping for the little gathering I had at my house for my birthday, last Saturday night. 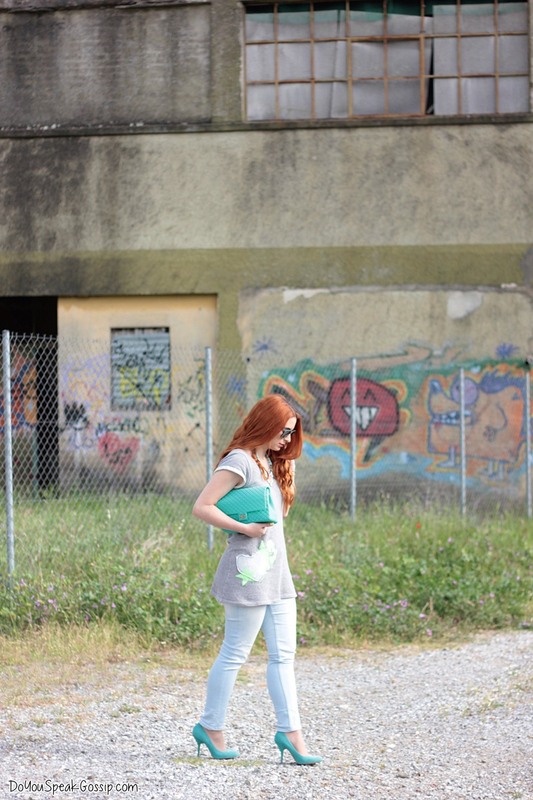 I chose to wear a really casual look with jeans, and a long top, but instead of flats (that you know I don’t really feel comfortable in) I went with a pair of low heeled pumps in mint color, which I paired with my mint jelly bag. And I even did some light climbing for the photo above. hehe Do you like this look? Of course I love this look! 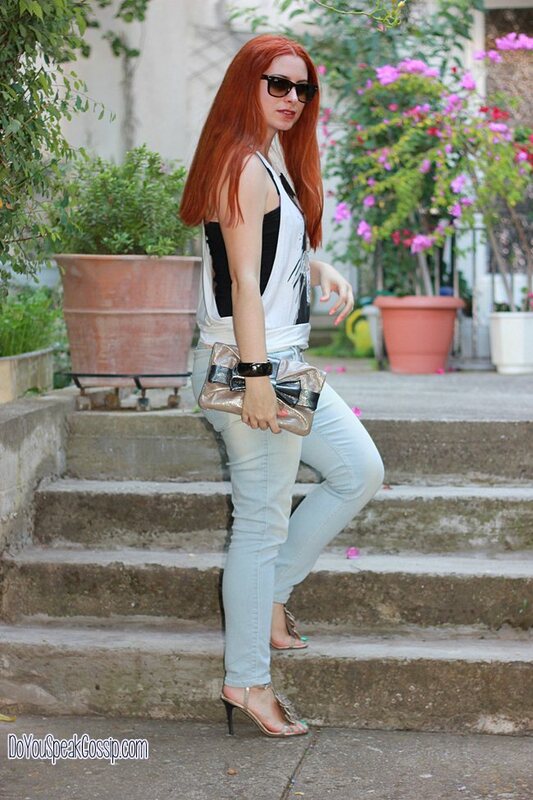 I loved the shoes, the style and color and the bag you know I am a fan of it! I liked the jeans very much and the nails, wow! Do I see some cherries on the ring finger nail? So sweet! Always very chic, even when casual – well, for me not that casual at all, the shoes made everything really sophisticaded! Always poli omorfa! Makia! Yes, you’re right! I have cherry stickers on my ring fingers. You can see a close up here . Mint such a pretty colour for spring and summer. I love how you paired with neutral grey it made it more relaxed and your hair is fabulous pop of colour. Thank you Marianna! 🙂 My pleasure! Πολύ δροσερό outfit με μικρές όμορφες πινελιές, ειδικά το κίτρινο χρώμα στα νύχια έκανε φοβερή αντίθεση! Theodosia recently posted..Stylish coral | Style.